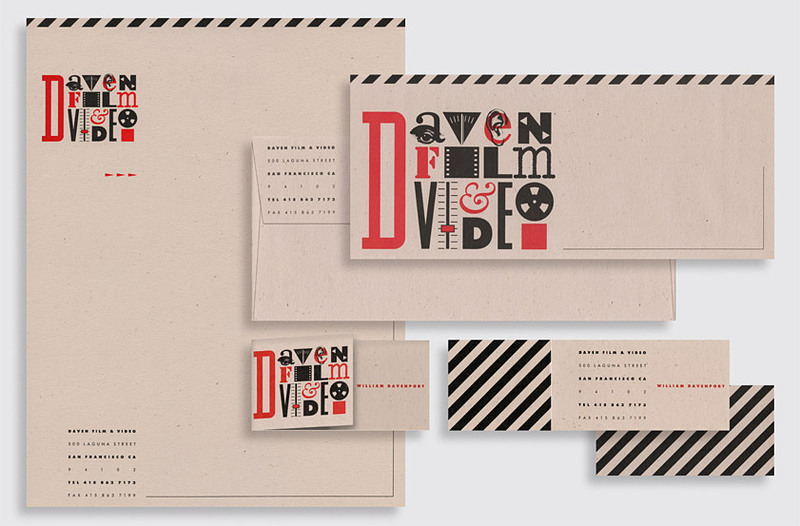 Daven Film & Video is a production company offering a wide range of film and video editing and post-production services. The logo utilizes an engaging assortment of film and video industry letters and symbols to convey the eclectic nature of the industry and firm’s creative approach to providing client services. 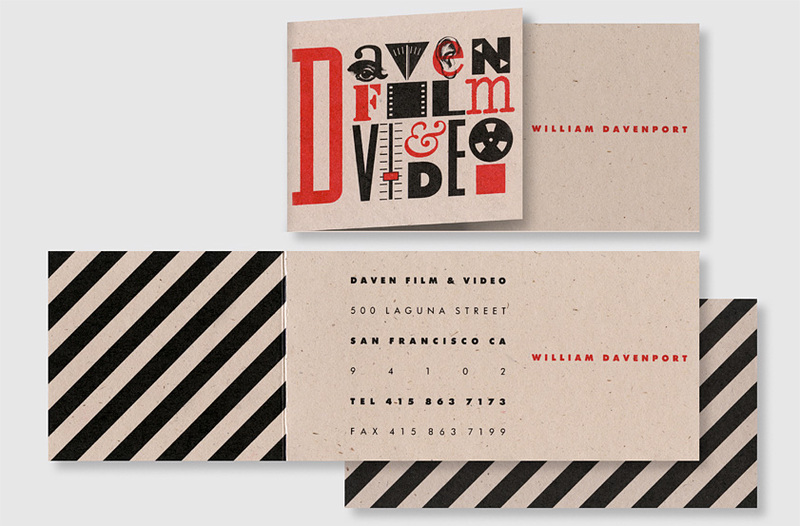 Our solution uses a diagonal striping pattern representing a classic film clapboard to unify the letterhead, envelope and business card. Fast-forward triangles create a unique typing dot, using thin brackets to define the typing area on the letterhead and envelope. The business card uses a fold-out flap to unveil company information.